"A riveting documentary about heroism, controversy, and progress told through the story of one of the most important institutions in American medical history." "...audacious, careful, outraged, and serious - an examination of how the legendary system of healthcare for the poor and indigent in New Orleans was shut down thanks to a convenient catastrophe. Is this the future of American healthcare?" Founded as a hospital for the poor, Charity Hospital began in 1736 as just a small cottage built on the goodwill of a dying French merchant. Ran by the nuns of the Daughters of Charity and serving the city of New Orleans for close to 300 years, it gradually transformed into an enormous public institution - into Big Charity - and a longstanding symbol of compassion, a seemingly eternal place of safety and a beacon of hope in the community. Today the towering art deco building, closed abruptly after Hurricane Katrina hit in August 2005, stands empty, and the community continues to suffer devastating consequences from its absence. This documentary film includes never-before-seen footage and exclusive interviews to tell the story of Charity Hospital, from its roots to its controversial closing in the wake of Hurricane Katrina. 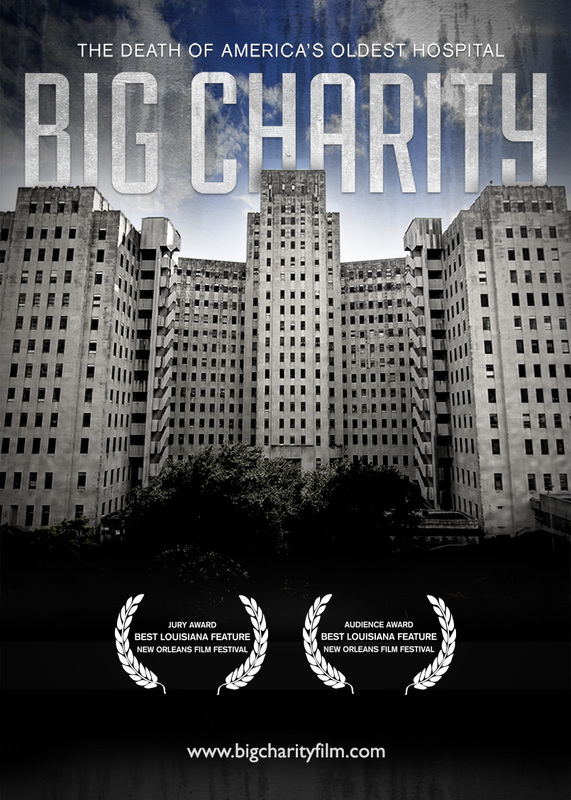 From the firsthand accounts of healthcare providers and hospital employees who withstood the storm inside the hospital, to interviews with key players involved in the closing of Charity, Big Charity shares the untold, true story around its demise and sheds new light on the sacrifices made for the sake of progress.